Last week we held an exciting bloggers breakfast for fashion festival, The Clothes Show! The morning was a huge success with our celebrity panel arriving at The Sanderson Hotel from 8am including Jamie Laing, Antonia O’Brien, Caryn Franklin, Karl Willet and Jules Heptonstall. The room began to fill up with chatter and excitement as fashion, beauty and lifestyle bloggers arrived, creating a real buzz for the session. After a delicious breakfast, everyone took their seats as Caryn Franklin introduced the panel; Jamie Laing socialite and creator of Candy Kittens. Antonia O’Brien, TV and Fashion reporter; Karl Willet, Head stylist for The Clothes Show and Jules Heptonstall, Celebrity ‘go-to’ Beauty Expert. Everyone in the room including The Clothes Show staff, sponsors, the Good Results team and of course the bloggers felt a mutual excitement towards the show this December as Caryn reminisced over the past shows, giving us inside and backstage scoop. Karl dropped inside secrets on the new branding of the show and how this will transform the Fashion Theatre! Jamie talked us through survival tips for the show, and we couldn’t get enough of Antonia and Jule’s fashion and beauty favourites for this season. Once the Q&A had finished our VIP bloggers walked around the room choosing gifts to take home, all provided from sponsors and exhibitors at the show. This included watches from ALCATEL ONETOUCH, hair appliances from THX, branded glasses from Lambrini, clothing from Religion and of course a huge variety of hair and beauty products from the exhibitors. 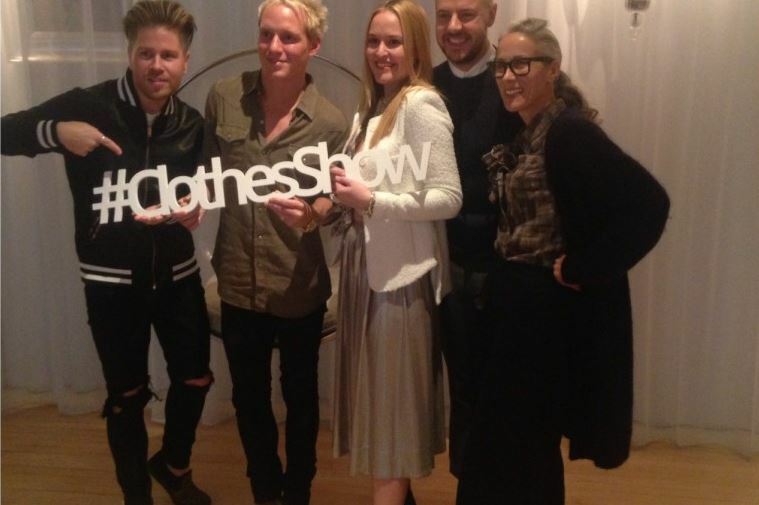 Bloggers then got the chance to speak up close and personal with our panel and of course get a selfie with Jamie Laing! We’ve had some wonderful feedback from everyone who participated in the event and we’re excited to see the bloggers again at the NEC in December!